Life on the farm always has its ups and downs. 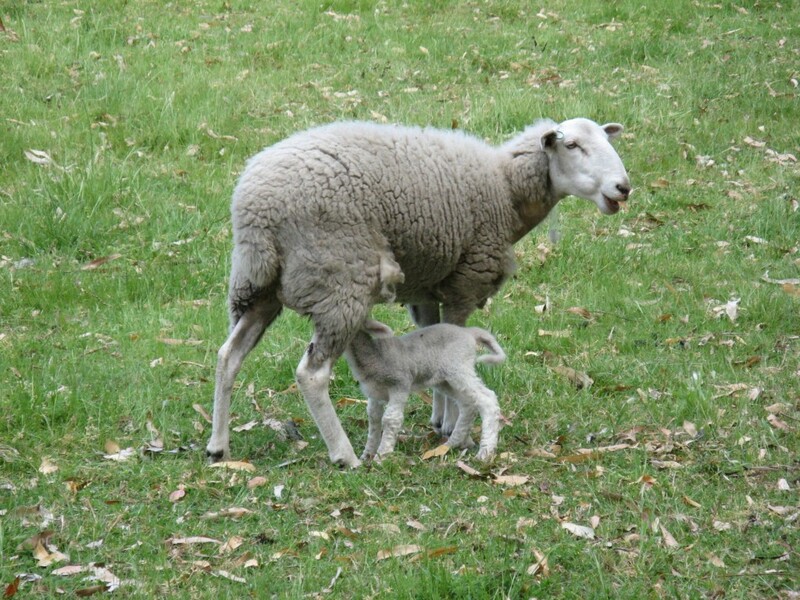 One of our old favourite ewe, Floppy Ears, gave birth to twins and sadly all died. It is always so upsetting when this happens, though we know it is the cycle of life and things don’t always go perfectly. 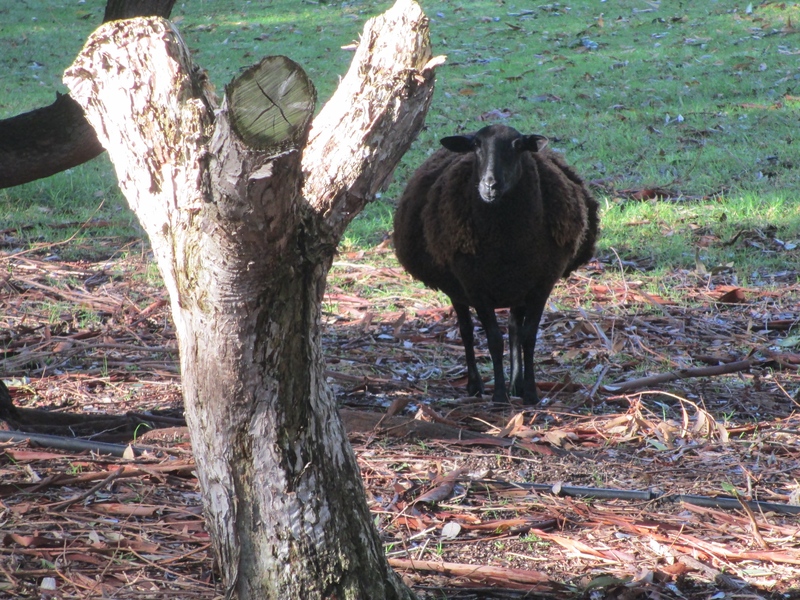 On the same day however, a neighbours sheep jumped the fence and barged into our property for the third time, so instead of getting her back over we went to the neighbour to discuss. 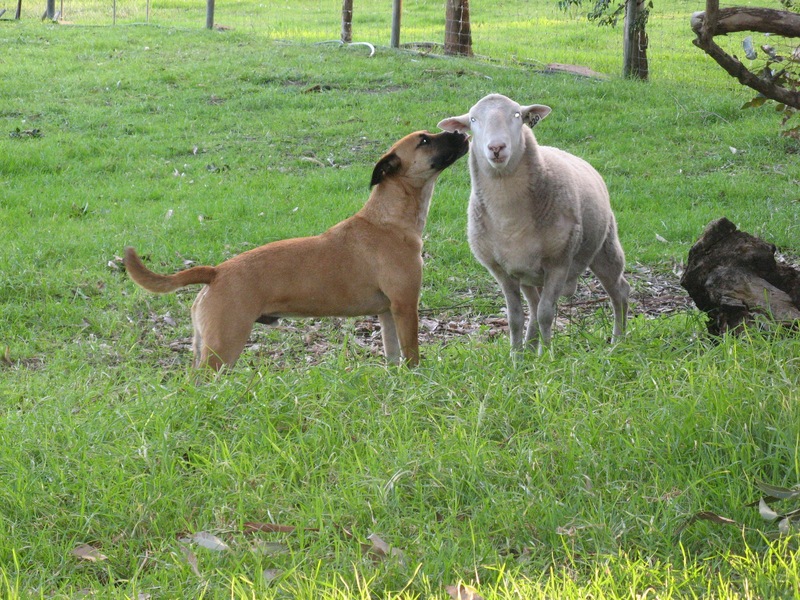 He apparently had no idea where she came from, and didn’t like her because she led his other sheep astray! So ‘Barge’, named because of her nature as well as her size (she was obviously about to give birth) joined our small flock. She quickly settled in and came up with the others for the evening feed, and although she is obviously a ‘bits’ (a bits of this and bits of that) rather than the pure Wiltipolls we have, we quite enjoy her. Well, as expected, she gave birth yesterday……. to triplets! No wonder she looked like a barge! Also as expected the lambs are ‘bitzas’ too! 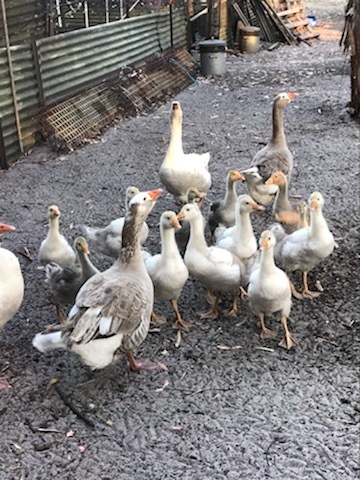 The ups and downs of farming…..
Well, as we said, setbacks are as much a part of farming life, even the small scale we have, as all the wonderful births and growths! 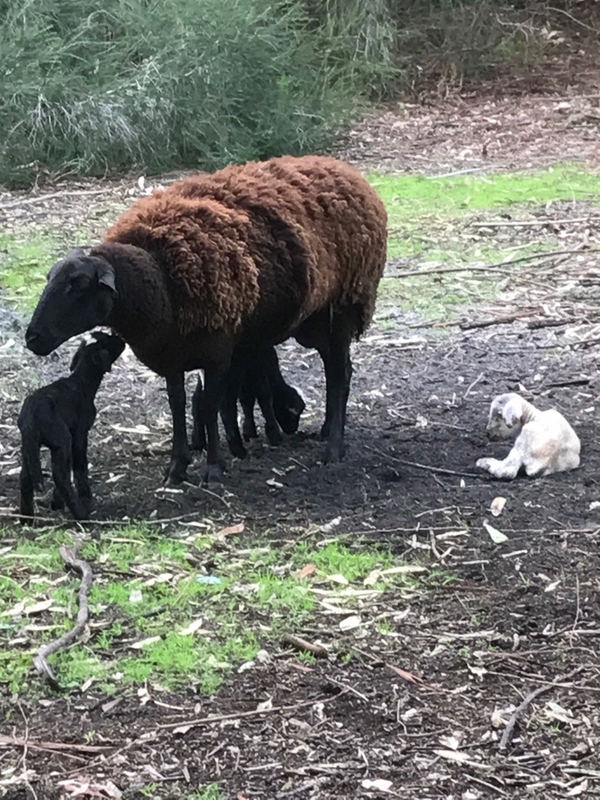 We have had our worst lambing season ever….five sets of twins to five ewes should have been fabulous, but we have four surviving lambs, all for various reasons. It has been quite distressing- we are used to having the odd problem or death, but losing 6 lambs in two weeks was most unusual. To add to that, we had an aquaponic disaster too, where we lost a lot of trout. Water quality can change very quickly, and so it did here. We flushed the tank as soon as the fish went off their food, but next morning there were lots of floaters…another very distressing sight! 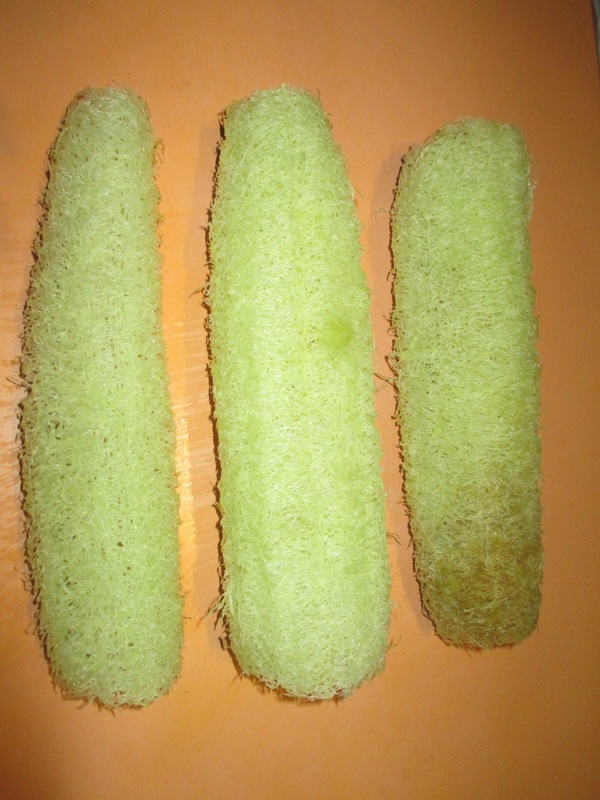 We have a few left so have done more flushing, added more salt and more calcium carbonate, so hope all will be well. 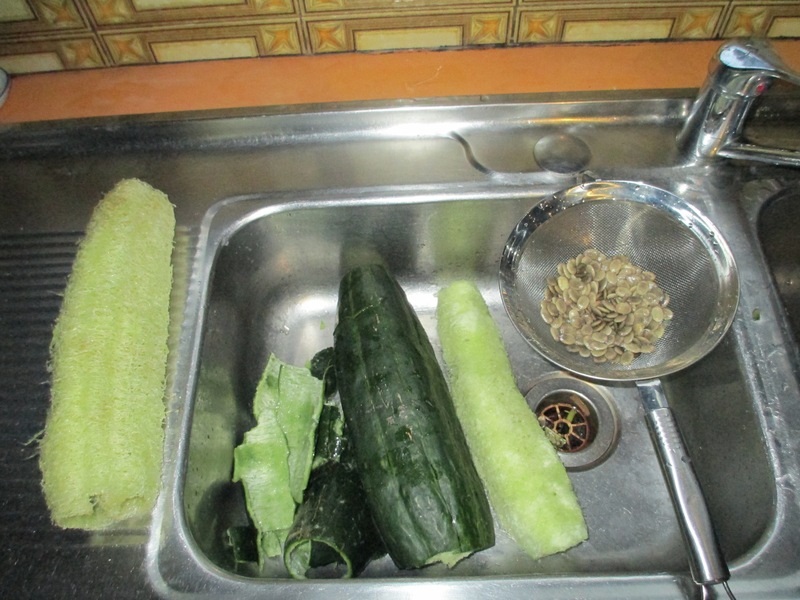 Despite the death and destruction of late, there is also good news…..the vegetables are growing well, we harvested our first luffa.. 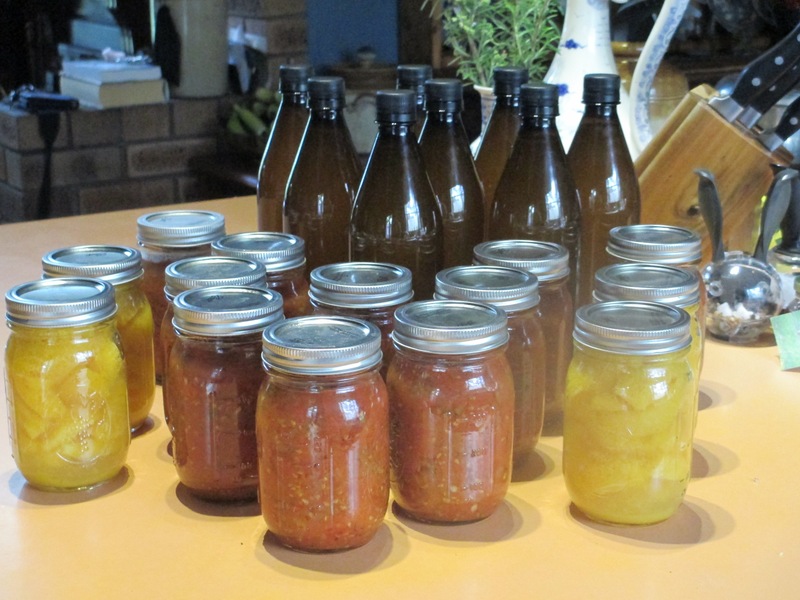 Believe it or not there has also been time for more preserving as it is orange season once again. The produce room is stocked up with Orange Liqueur Brandy, Marmalade and Bottled Oranges! Ginger beer and Ginger Cordial are also new favourites. Spaghetti Sauce, Ginger beer and oranges in juice..
Pumpkin Palace moved to its new location. Our lovely Wiltipoll ram ‘220’ or ‘toots’ for short, died today. We don’t know how or why, but it is likely he disturbed a tiger snake from its slumber when the sheep were let into a new paddock. He was a great ram, and fathered great lambs. Finn the dog will miss a good mate too, when he is able to run around once more. Finn whispering sweet nothings into toots’ ear! 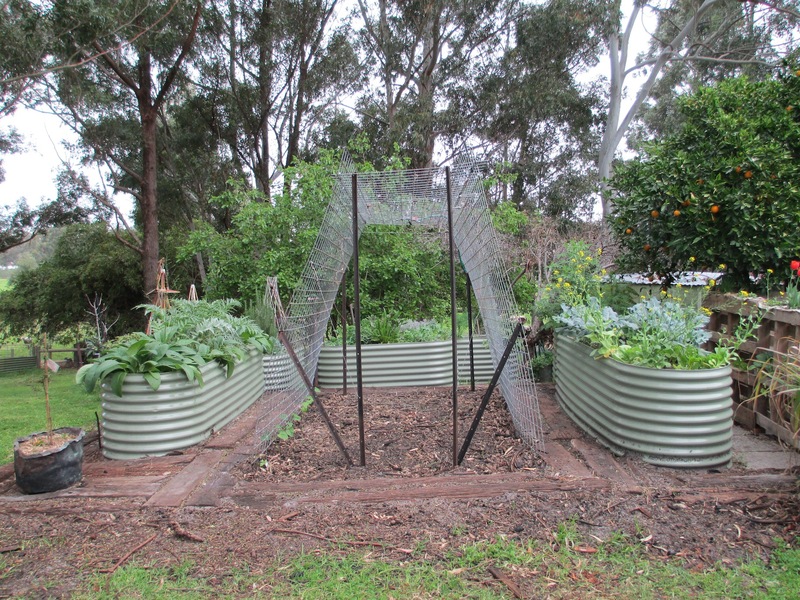 Life on a farm, no matter how small it is, does still have its setbacks. We have recently had a ewe die. We are not sure why- it may have been a snake bite (they had just been moved into a different paddock that had been unused for a while). She was one of the 1 year old ewes that had surprisingly had lambs (usually they are two year olds), so perhaps it was related to the fact that she was too young. Now we have a 5 week old lamb orphan lamb…..fortunately the Wiltshires are a strong breed and graze very early in life, so it should be ok.
Our apricot and orange trees are far too big to cover with nets, so have been ravaged by fruit fly. They both produced an abundant crop, and we were able to use a lot before they were badly stung, but such a lot was wasted! 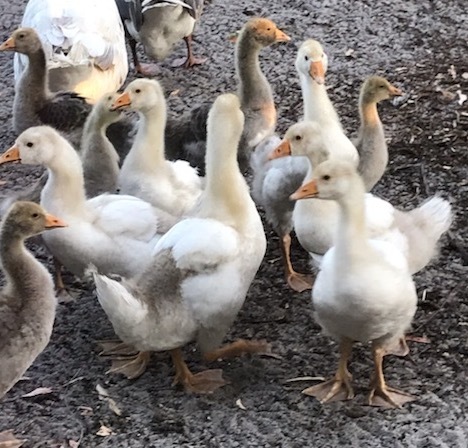 We have had good success with our turkey and poultry breeding….but not the ducks. Despite several different ducks sitting on eggs over the last few months, not one egg has hatched! There is one duck currently sitting, so fingers crossed………..
Well, what a surprise we had yesterday….a new lamb! We weren’t expecting any more as the ewes who hadn’t given birth already are only 1 year old, plus Wiltshires supposedly have a once a year breeding period in February/March. Wiltshire lambs born in October is not usual!! Fortunately, the very young mum and her little boy lamb are doing fine….and the other 1 year old ewe is obviously pregnant too!